Endless possibilities! 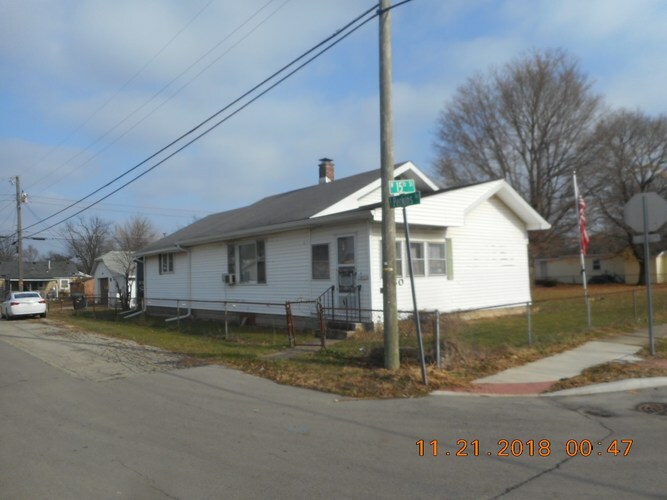 Three lots completely fenced on corner, 3 bedrooms, enclosed front porch, enclosed back porch or bonus room, large eat-in kitchen, all appliances stay, not warranted. Home needs some TLC, immediate possession. All remaining property stays. Listing provided courtesy of F.C. Tucker Muncie, REALTORS.